Hi my name is Alexis and I am 14. 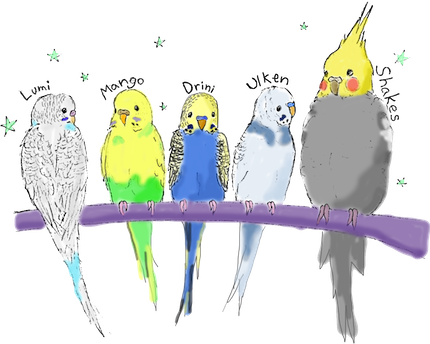 I have 6 budgies. My little sister has 3 cockatiels, their names are Benji, Sammy and Biggles.